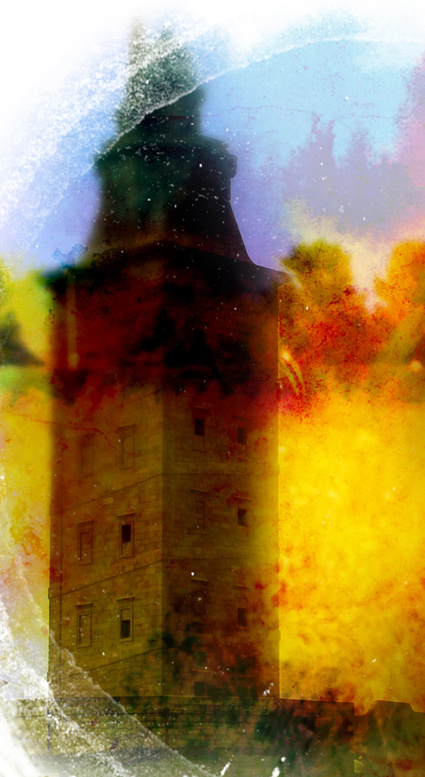 The image of the Tower of Hercules is a living and omnipresent image that is so closely linked to the city of A Coruña that it is difficult to identify the city without resorting to the lighthouse. The Tower presides over the City Hall’s coat of arms, the Diputación, the University, most professional associations and cultural associations, but we also come across its representation in the floor tiles on the pavement of the main streets of the city, on the lampposts of the promenade, in floral arrangements in gardens, as decoration in pies at one of the better-known patisseries of the city or used in the Teresa Herrera Trophy. 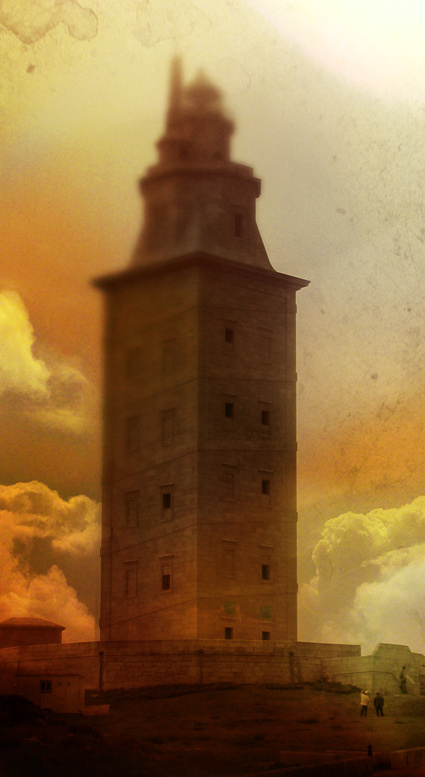 The presence of the Tower is also apparent in the street map and the place names of the area, as well as in the names of businesses and companies of A Coruña. We are thus talking of the image that identifies the city and which is a symbol of two thousand-year old past that since 2009 is recognised as a site of exceptional, universal value and included in the UNESCO’s World Heritage List. 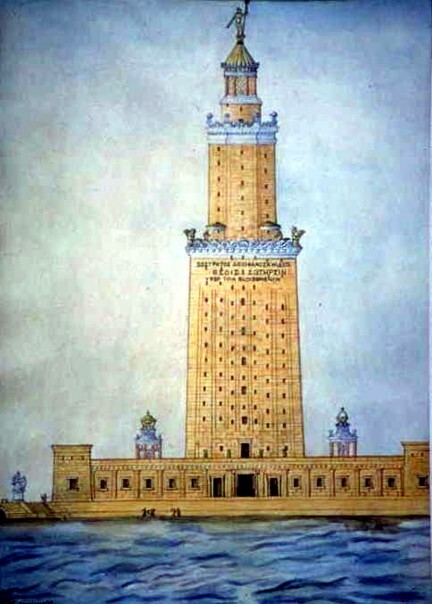 The emblematic value of the image of the Tower is documented as early as in the 15th century when the Tower becomes the symbol of the city, its emblem, an icon countless times repeated in all kinds of places such as rubberstamps, final judgements, navigation charts, coats of arms and signs identifying city council’s property that can be found anywhere in the city. 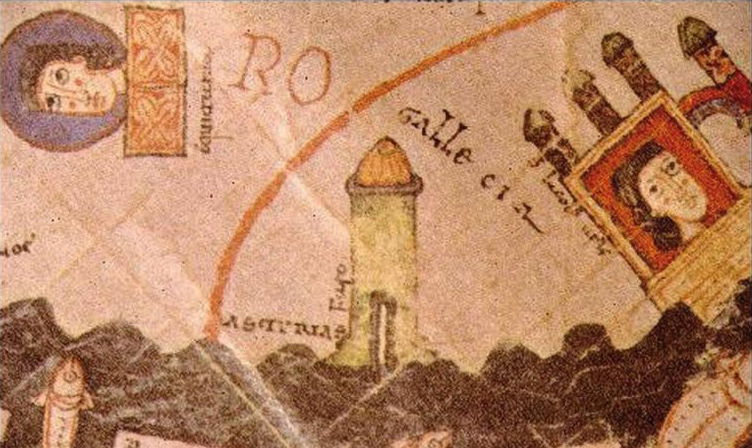 There is, however, record of very interesting images of the monument from an earlier time such as the world map of Beato of Burgo de Osma (ca. 1085) or the Hereford Chart (ca. 1280), where “Farum Brigantium” is included as the symbol of finis terrae, of the world known.